Kai Yang features several signature Thai dishes. 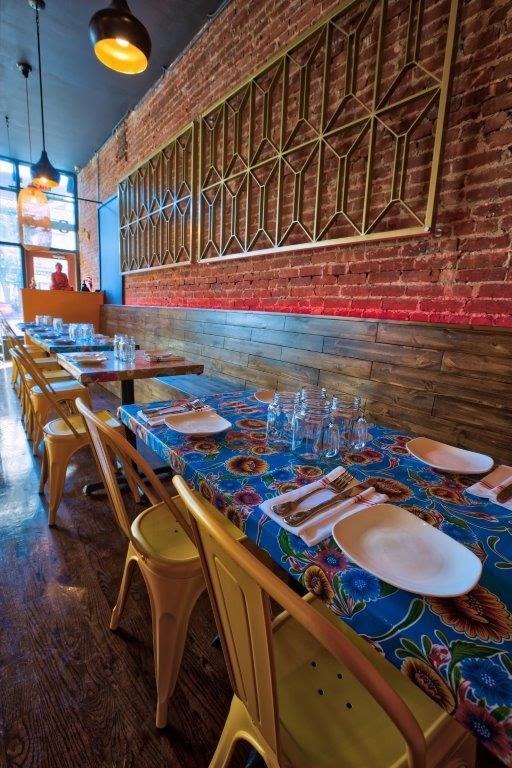 The new 1,100 square foot, 40+ seat space will evoke the vibrant colors and feel of a Thai street market. Opening Kai Yang is chef/owner Sheree Sarabhaya of Spice II, Montclair and Boon Thai Kitchen, Livingston. Growing up in Bangkok, Sarabhaya enjoyed freshly prepared Thai market street foods such as kai yang, which translates to grilled chicken. The organic chickens served at Kai Yang will be rotisserie grilled and accompanied by traditional papaya salad, sticky rice side and dipping sauces with variations that include pork or beef. Our goal is to create a harmony of flavor and texture using the freshest spices and herbs. The flavors used in our kitchen gracefully play off each other and create a balanced and beautifully executed plate. Your taste buds will immediately transport to the streets of Bangkok once they taste our traditional Thai dishes. With our diverse menu and gorgeous space we will provide you with an unforgettable experience. We take reservations for groups of 4 or more. We unfortunately cannot accept any reservations for parties larger than 10 on Fridays and Saturdays. Please inquire below for more info. The 31 newly opened N.J. restaurants you need to try right now. Traditionally crafted, organic chickens are marinated with a coarse herbal rub, bringing a wonderful depth of flavor (including garlic, lemongrass, black peppercorn, palm sugar and coriander root). As the herbs are sliced up, they are pounded using a traditional stone mortar and pestle and added to infuse the whole chicken. The art of the side dish-what perfectly with our chicken? Dipping sauces are key-don't forget about them! Our selected dishes pair great as classic combos. Taken from Thai street markets, these textures play off each other. Send us a message and we’ll get back to you as soon as possible. You can also reach us by phone at 973.509.2110. Looking forward to hearing from you!